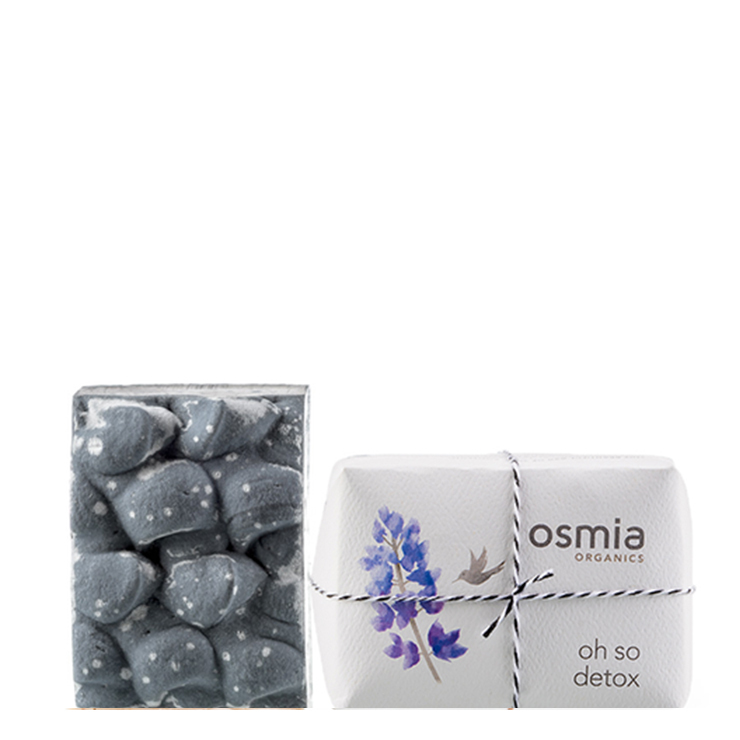 Oh So Detox Luxury Body Soap by Osmia cleanses and lends a detoxified feel to the skin. Activated charcoal makes skin feel purified, while Australian black clay offers a replenished effect that makes skin look regenerated and healthy. This unscented heroic soap gives skin a deeply cleansed feel, while enhancing feelings of hydration with a rich blend of shea butter, olive, and avocado oil. While this soap work wonders for all skin types, this black and white speckled bar is especially beneficial in improving the look and feel of eczema or congestion prone skin. Apply daily as needed. Using a loofah or natural towel, apply liberally to create a luxurious lather. Can be applied to both body and face. To extend life of soap store on a soap saver away from excess water.